It seems that the end of the year is particularly busy for events of all types – and books and libraries in this part of the world are not immune. In the course of my working life, I have done some editing and proof-reading of papers/articles etc but never going through all the processes involved in publishing material. So an opportunity to attend a CARLIGH (Consortium of Academic & Research Libraries in Ghana) workshop on GHANJOL and online publishing was a definite learning experience to be taken up, especially as Ashesi University College is planning to start its own journal sometime in the near future. Most of the workshop was taken up dealing with a particular platform for publishing journals online – Open Journal Systems – which was developed by the Public Knowledge Project and hosted at Simon Fraser University in Canada. When we started the practical aspects I realised I had actually read articles from journals published under this platform – and these are from all over the world as well. The key roles involved in publishing journals, especially online – authors, editors, reviewers, and others were also covered, so for those of us who are new to this area, there were guidelines to take away and processes and workflows one could use. There was also discussion about Open Access and more specifically about the possibility of there being a GHANJOL – Ghana Journals Online – which would be part of the INASP project, Journals Online. The other event was a half-day discussion on the role of public libraries in development, the second half of a full-day consultation facilitated by EIFL and IREX, with support from Ghana Library Association (GLA). The event came out of the six country study conducted on behalf of EIFL of public perceptions of public libraries in Tanzania, Ethiopia, Ghana, Kenya, Zimbabwe and Uganda. The first part of the day was to sensitize many librarians and key stakeholders on the results of the report, and the second half, which I attended, widened the stakeholders to include non-library personnel working in information, including representatives from ICT companies such as TechAIDE and GINKS. What was particularly interesting for me – apart from the opportunity to meet colleagues and put forth some of my own opinions – was the chance to hear some people actually saying that “some thinking out of the box” was essential for the public libraries to work effectively in Ghana. 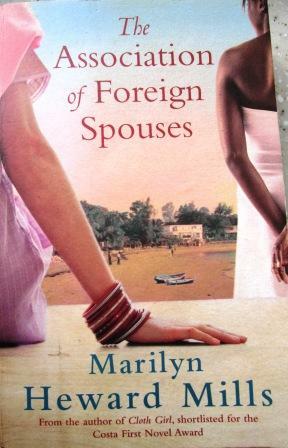 The association of foreign spouses is Marilyn Heward Mills’ second novel, published in early 2011, four years after her Costa prize nominated Cloth girl. I had enjoyed Cloth Girl, and was intrigued to hear that I actually knew the author’s mother, though I had never met Marilyn herself. I was even more intrigued when I heard that Heward Mills’ second novel was to be The association of foreign spouses, as the title very much echoed the name of a real organization to which I belong here in Ghana: the International Spouses Association of Ghana (ISAG). I wondered whether this new novel was going to be a kind of “roman a clef” – with characters who were actually people I knew. But somehow it took longer for the book to be written, and published, and it rather left my horizon, until I got a email mentioning its publication. How could I resist? Unfortunately, I couldn’t get a copy here in Ghana, so had to resort to buying one outside. I read The association of foreign spouses in October of this year. 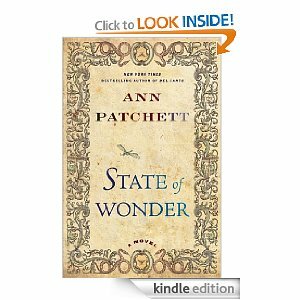 It was interesting, but I think more because of its descriptions being familiar, rather than necessarily because of its being a memorable novel. While reading I was constantly wondering whether certain characters were based on real people – and even though the author’s website denies this – there is a great deal in the descriptions of people, place and events which rings true, even though it is fiction. Eva: British, married to architect Alfred, not working, spending a lot of time on her house and garden. Definitely the main focus of the book. Yelena: Russian, with twins fathered by doctor Wisdom who has a wife , runs a beauty salon in her house to earn enough to support herself and her children. Auntie Gee: Alfred’s mother, and Eva’s mother-in-law – always seemingly “meddling” – at least from Eva’s point of view – yet in her own way trying to get Eva and her children to adapt to Ghana. To some extent people in this book could be considered stereotypes, but many of the incidents described – and the atmosphere surrounding the coups and successive military governments – are actually what happened or pretty close to it. Personally I feel that the families and individuals portrayed actually lived lives at the higher end of the economic scale even one did hear that life was not as good as it had been at the time of independence. I was also a little surprised that so few of the key women characters were working. Ghana in the late 1970s and early 1980s was a difficult place to live – whether you were a national or a foreigner married to a Ghanaian. There were real shortages of what we called “essential commodities” – such as sugar, milk, soap, toilet paper and bread – not to speak of the not so essentials of beer and soft drinks. At times food in sufficient quantities was difficult to obtain and required considerable effort. These were times of real hunger for many; many had the prominent neck bones, locally described as “Rawlings collar”. I am not saying that the lifestyle my family lived during those times was completely Ghanaian – it wasn’t, but it certainly wasn’t the full-blown expatriate lifestyle either. We didn’t have the money, or access to specially imported goods that made that possible. So I guess my reaction to Heward Mills’ The association of foreign spouses is very much an emotional one – of remembering, and reliving times which were not the best, but out of which I, along with the characters in her book, developed into stronger and more capable human beings. I will not deny that I appreciated their struggles, and empathized with them. I am not a good cook, though I do like to bake at the weekends. But I do like to buy and skim/read through cookbooks. 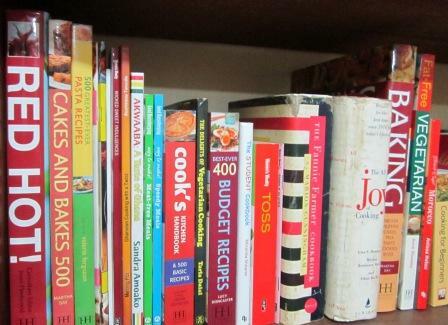 Although my shelves of cookbooks don’t particularly look like it, I do try to buy any Ghanaian or African cookbooks which I come across, which admittedly are not that numerous. Here are a few of them – some definitely newer – in colour, with photos – and some older, with a few line drawings if one was lucky, none was much more the norm. 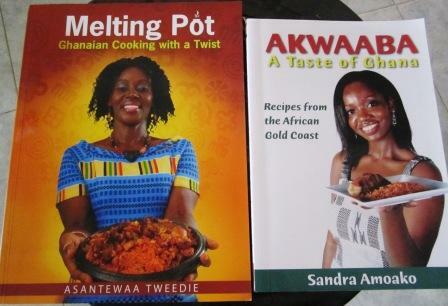 Interestingly the newer Ghanaian cookbooks are often aimed at those in the diaspora – many of whom who may be of Ghanaian origin – and wanting to recreate a little bit of “home” through their cooking. With the increasing availability of items such as plantains and yams even in mainstream supermarkets, plus the plethora of so-called “international” supermarkets catering to multi-ethnic communities, as well as the so-called “Ghana stores” or “African supermarkets” which are no longer total rarities even in suburban areas of the US. 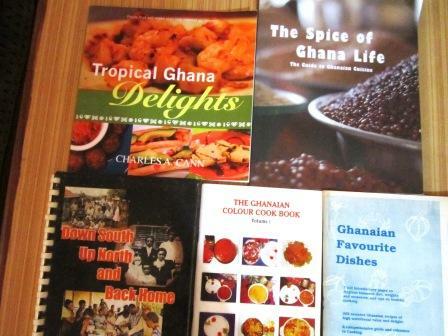 One of the best sources of Ghanaian recipes which is not in book form – yet – can be found on Fran Osseo-Asare’s BetumiBlog http://betumiblog.blogspot.com/ which not only has recipes, but talks about alternatives and the whole process at arriving at formal recipes. Fascinating, though I admit to not having the patience to do this. Apart from Ghanaian/African cookbooks I love looking and drooling at contemporary cookbooks with their beautiful photos – and knowing that my dishes never look anything like that. Middle Eastern/North African/Mediterranean food are all pretty attractive to me, especially those that do not use a lot of meat. Baking too is a weakness – after all that is something I often do on a Sunday afternoon. So here are some of what is on my shelves, and in some boxes. NB: I was originally going to post this as part of the Blog Action Day on FOOD, but obviously it didn’t happen quite as planned!